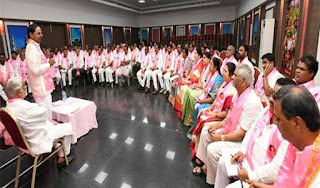 Telangana Rashtra Samithi (TRS) announced a list of 105 candidates for elections after Chief Minister K Chandrashekhar Rao's government dissolved the state assembly on Thursday. Two sitting Telangana MLAs were denied tickets. B Suman, who is currently the Lok Sabha MP from Peddapalli, has been named as a candidate. The decision to dissolve the assembly was taken during a cabinet meeting. Chandrashekhar Rao met Telangana Governor ESL Narsimhan and submitted his government's recommendation. 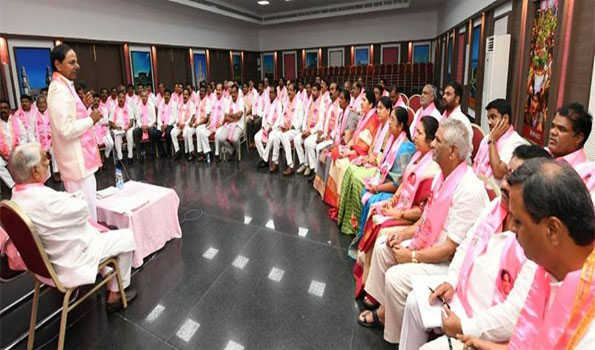 The Governor accepted KCR's recommendation and asked him and his cabinet to take charge as the caretaker government. Telangana voters are likely go to the polls earlier than scheduled now. The state was supposed to hold assembly elections at the same time as the 2019 Lok Sabha elections. The decision to hold early elections is being taken to ensure that the mood during the general elections next year doesn't overshadow the assembly polls.